The new 401k fee disclosure requirements have brought a lot of attention to 401k plans, which is a good thing. Most people don't pay too much attention to their administration and plan fees since they ... Read More about How Does Your 401k Plan Stack Up? Spousal IRA – Does Your Stay at Home Spouse Have an IRA? Many stay at home parents accept the fact that they don't have a retirement account, and they rely on their partner to provide for them both in retirement. However, this isn't necessary. Not ... Read More about Spousal IRA – Does Your Stay at Home Spouse Have an IRA? Can the US Government seize your 401k or IRA? It seems far-fetched for a democratic government to unilaterally seize their citizen's privately held retirement investments, especially in a time of ... Read More about Can the US Government Seize Your 401k or IRA? 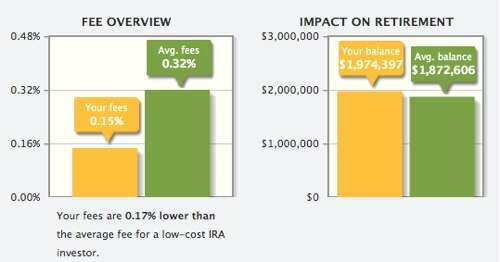 Do I need a Roth IRA? The short answer, is yes. Here's the longer answer: If you are eligible to contribute to a Roth IRA, then you need to do so. The corporate pension system is dying, and ... Read More about Do You Need a Roth IRA?